This week started the long awaited Orgatec fair in Cologne. All of the preparations have been done and now we await the feedback and the future in general. Until we gather ideas for the Orgatec blogpost, we wanted to write about something different: the unit and test Martindale. What is it and why is it important? Now, more about Martindale. What is it? The Martindale is a unit for quantifying the abrasion resistance of textiles, especially when used for upholstery. Tarmeko Pehmemööbel and Tarmeko LPD have to deal with fabrics on a daily basis. Still, there are so many fabrics to choose from! What should one watch while choosing a fabric? First off one looks at the colour, and texture plus the price of course. Experts will probably value the fabric's resistance as well. When we can evaluate the colour and texture ourselves, the endurance part is probably a bit more difficult. That is why the Martindale unit and test matter. The Martindale test, also known as a “rub test”, is responsible for assessing the durability of fabrics. The fabric that you want to test is pulled taut and placed on a plate on the Martindale machine. 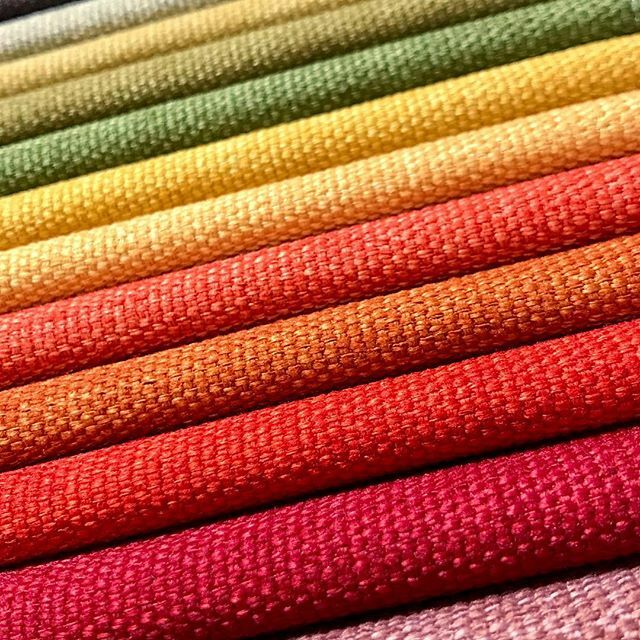 Small discs of wire mesh or worsted wool are then continually rubbed against the fabric until either two yarns break or there is a noticeable change in the appearance of the fabric. The device works with a 5000 cycle interval and based on that the unit Martindale is created. After every 1000 cycles, the fabric is being checked. The result is that the Martindale will show the level of the rubbing of the fabric. The higher the value, the more durable it is in the fabric friction. Not suitable for upholstered furniture. Fabric that has to be used indoors and is made out of gentle fibres. Not suitable for furniture that moves, for example, recliners. Suitable for moveable furniture like recliners that is being used in public spaces. Suitable for public spaces or homes, when a strong fabric is needed. What influences the durability of the fabric? Length of fabric fibre - the shorter the fibre, the weaker the fabric. The nature and type of weave affect the strength of the fabric. Police and ambulance use fabrics that have a Martindale level between 200000 - 500000. Producers are trying to make more and more durable fabrics but it is difficult to find fabrics over 50000 that are durable and would fit the interior. Martindale test is only suitable as a rub test. The higher the Martindale, the better quality fabric it is. That is why these fabrics are more expensive. Which fabrics does Tarmeko use? When you go to the Tarmeko official website then for each upholstered product we have the Textile section. There you can see the fabrics in our collection. Tarmeko has divided fabrics into different groups. The bigger the category, the more expensive the fabric is. That would be the easiest way to explain it. The Martindale unit is different in each fabric group. Mainly we have chosen fabrics that are suitable for home or commercial use. The selection is wide! We hope this post was informative and created more interest to have a closer look at fabrics. All the best to you and warm greetings from Cologne!